A safe workplace doesn’t happen by accident; it takes effort and planning. Protecting both employee and employer requires the development of a comprehensive safety plan that addresses every aspect of safety, and every corner of each particular workplace. An effective plan must be clearly documented to ensure consistency in practice over time. Most importantly, the plan must be implemented, and as it unfolds, it should be evaluated and amended as necessary. A key element of an effective safety plan is training. The objective of training is to ensure everyone knows the safety procedures for the workplace, and to raise awareness and skill levels to an acceptable standard. 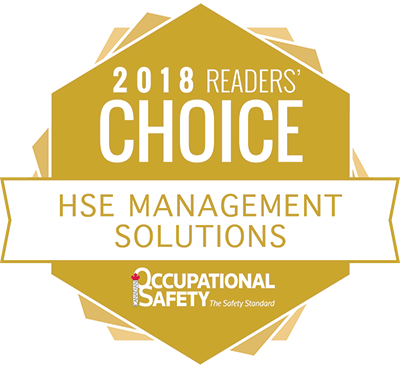 Occupational Health and Safety (OHS) Regulations set the standards for job safety, and identify the general rights and responsibilities of the employer, the supervisor, and the worker. A health and safety program is a definite plan of action designed to prevent accidents and occupational diseases. 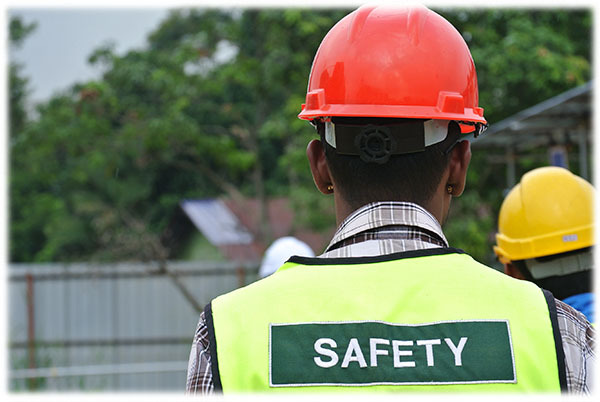 Some form of safety plan is required under occupational health and safety legislation in most industrialized countries. Under OHS regulations in Canada, employers must practice “due diligence”. This means they must take all reasonable precautions to prevent injuries or accidents in the workplace. To exercise due diligence, an employer must identify possible workplace hazards, and carry out the appropriate corrective action to prevent accidents or injuries arising from these hazards. The employer must have written OH&S policies, practices, and procedures in place. The employer must provide appropriate training and education to the employees so that they understand and carry out their work according to the established polices, practices, and procedures. The employer must also train the supervisors to ensure they are competent persons, as defined in legislation. The employer must monitor the workplace and ensure that employees are following the policies, practices, and procedures. Workers also have responsibilities. They have a duty to take reasonable care to ensure the safety of themselves and their coworkers. This includes following safe work practices and complying with regulations. The employer should have an accident/incident investigation and reporting system in place. The employer should document, in writing, all of the above steps: this documentation will give the employer a history of how the company’s occupational health and safety program has progressed over time. Employers must also ensure that all people who are at the workplace are included in the OHS program, such as contractors, visitors, students/interns, and volunteers. It has been found that inexperienced workers, in general, are involved in accidents at a higher rate than others. Health and safety education should start with employee orientation when a new employee joins the organization or existing employee is transferred to a new job. Orientation sessions normally cover such items as an explanation of the function of the work unit, organizational relationships, administrative arrangements, and miscellaneous policies and rules. Soon after the orientation session, employees should be assessed on their understanding of the items discussed. In this way, both the quality of training and the level of understanding can be evaluated. Health and safety legislation requires workplace inspections as a proactive measure to ensure workplace health and safety. Workplace inspections help to identify existing hazards so that harm from those hazards can be reduced or eliminated. Both supervisors and workers are responsible for reporting, and taking action on, unsafe conditions and actions as they are encountered. Checklists are useful for completing the workplace inspection, in that they help ensure that no items are overlooked. While many ready-made checklists are available in the safety literature, it is best to adapt these lists to local conditions. After completing the workplace inspection, the employer, in collaboration with the joint health and safety committee, can identify what hazards could cause harm to people and what precautions to take. 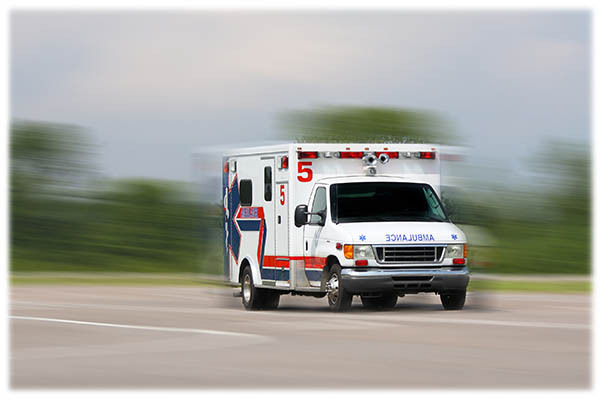 Emergency procedures are plans for dealing with urgent events such as fires, explosions, major releases of hazardous materials, violent occurrences, or natural hazards. When such events occur, the urgent need for rapid decisions, shortage of time, lack of resources, and trained personnel can lead to chaos unless there is a plan in place. The objective of a safety plan is to prevent or minimize fatalities, injuries, and damage. The organization and procedures for handling these sudden and unexpected situations must be clearly defined. Compile a list of possible hazards or scenarios (e.g. fires, explosions, floods). Identify the possible major consequences of each (e.g. casualties, damage). Determine the required countermeasures (e.g. evacuation, rescue, firefighting). Inventory the resources needed to carry out the planned actions (e.g. medical supplies, rescue equipment, training personnel). Communication, training, and periodic drills are required to ensure adequate performance when the emergency plan must be implemented. 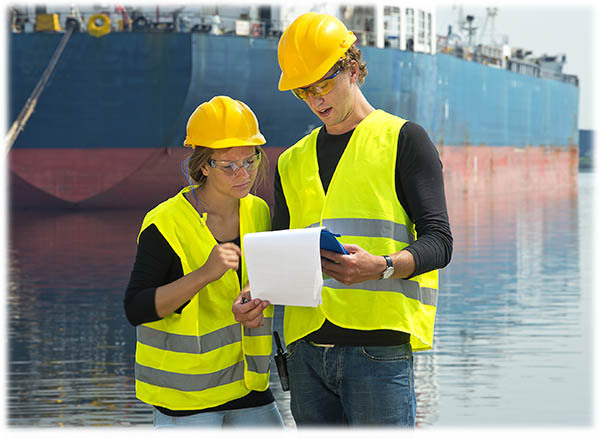 Risk assessments and emergency plans are essential to all basic health and safety programs. In addition, specific topics to include in a safety training program will be needed to address workplace specific activities. Workplace Hazardous Materials Information System (WHMIS) – In Canada there is special “right-to-know” legislation that applies to hazardous products. WHMIS is a comprehensive plan for providing workers with information on handling hazardous materials in the workplace. Lock out procedures – Lockouts protect workers when machinery or equipment is in shut down for maintenance. When servicing machines, an employee may be at risk of injury or death unless the full system is shutdown and locked out from powering up. Confined space procedures – Confined spaces have limited openings for entry and exit, such as silos, vats, ship holds, sewers, tunnels, large pipelines, and other such spaces that workers could enter to perform work. Confined spaces may contain hazardous atmospheres, including insufficient oxygen, toxic air, or an explosive atmosphere. Workers must know how to work in confined spaces safely. Hot work permits – “Hot work” is work that could produce a source of ignition, such as a spark or open flame. Examples of hot work include welding, cutting, grinding and the use of non-explosion proof electrical equipment. A hot work permit is required for any work operation involving open flames or tools producing heat and/or sparks. Fire safeguards – Workers need to know how to reduce or eliminate all the fire hazards on a jobsite, how to use fire extinguishers, and know the emergency plans in the event of a fire. Personal protective equipment (PPE) requirements – Every worker needs to know what PPE is required for their particular job. From hard hats to steel-toed boots, respirators to safety eyewear, proper safety training on PPEs can help workers stay safe. Ergonomics – Working in an office may seem harmless but musculoskeletal injuries can develop over time, especially for workers who spent the majority of their time sitting and typing in front of a computer. Training focuses using proper equipment and mitigating harm from long periods of sitting. Tools – For many workers, tools are a necessary part of getting the job done. Training teaches workers how to select tools that are right for the task, how to use tools properly, and how to inspect and maintain their tools. Slips, trips, and falls result from an unintended or unexpected change in the contact between a worker’s feet and the ground, or other walking surface. Training focuses on good housekeeping, the quality of walking surfaces, proper footwear, and walking pace. Working at heights – All employers, and their employees who are required to work at heights need to know the risks for this type of work, as well as the rules for fall protection. Electrical safety – Training for electrical safety should include general safety tips, and where applicable, comprehensive training for working around overhead power lines, working with power tools, and power cords. 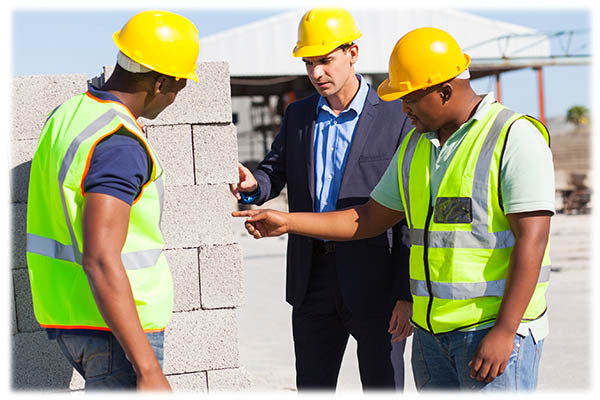 Drug and alcohol awareness – Workers need to know how drugs and alcohol affect their safety and productivity on the jobsite. Training should include proper procedures to follow if someone is impaired by drugs or alcohol at work, and how to access help for an addiction problem. Workplace violence prevention – This broad problem describes any situation where a worker is abused, threatened, intimidated, harassed, or assaulted in the workplace. Training focuses on preventing violence through strong policies, workplace design, administrative practices, and work practices. 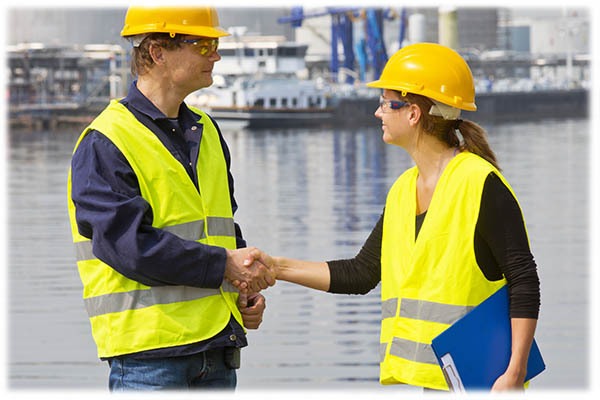 Occupational health and safety legislation requires every workplace to develop a safety program. All worksites have hazards that have to be identified, eliminated, or managed to keep workers safe. 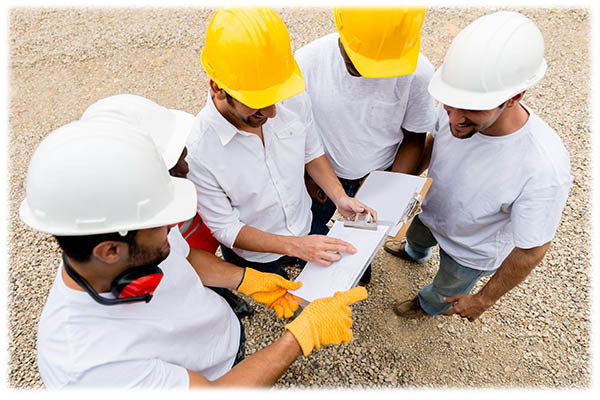 The essential elements for an effective safety program include broad health and safety measures like new employee orientation, emergency procedures, and workplace inspections, as well as job specific training to address identified hazards. Staying safe on the job is everyone’s responsibility. With effective plans and continuous training, injuries can be prevented.